This week’s recs come from RI poet Talvikki Ansel, who has published two books of poems: My Shining Archipelago (Yale Series of Younger Poets Award) and Jetty & Other Poems. Her poems are currently or forthcoming in The Cincinnati Review, The Kenyon Review, and in the anthology The Hide-and-Seek Muse: Annotations of Contemporary Poetry (Drunken Boat, 2013). She has received a Stegner Fellowship, Pushcart Prize, a Lannan Residency Fellowship, and a grant from the Money for Women / Barbara Deming Memorial Fund. She is an adjunct instructor at The University of Rhode Island. And may we just also add what a lovely poet she is. Check out some of her work online at The Poetry Foundation. 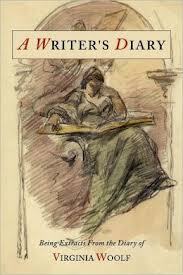 This volume of her diary covers the years Woolf was working on To the Lighthouse, Orlando, and The Waves. It’s mesmerizing, and unmediated by a biographer though there are plenty of notes to explore; read it straight through, or dip into it: observations on life (moths, running a press, the labor strike), fellow writers (numerous, including a visit to Hardy), family dynamics, and of course the unfolding novels. 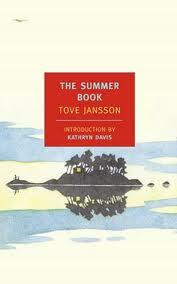 First published in 1972, reprinted as a New York Review Books Classics series. A grandmother and child on an island in the Gulf of Finland. We don’t hear much from the widowed father, and the mother is an absence. The grandmother and child are close, cantankerous, and curious. The island is unforgettable: stone ledges, moss, visitors by rowboat, an ancient salt-water soaked bathrobe, and drift-wood creatures in a forest. It’s a novel, the scenes strung together like memory or prose poems. Eugenio Montale’s poems. 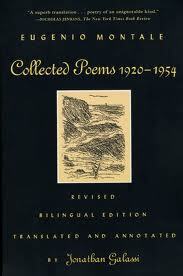 I happen to have Collected Poems: 1920-1954 (trans. by Jonathan Galassi) and Montale in English (various translators, Harry Thomas, ed.) handy; there are others. The poems make summer and Montale’s coastline seem elemental and timeless. The poems allow for intrusions—the insect bursting into the oval of light above a reader, and regularity—the cicadas’ cries, heat, and geology. Striated and layered, with wisps of history and narrative, I can’t let go of these poems. … check back early next week for recommendations from Mark Baumer, Mary-Kim Arnold, and other local writers whom the vast Frequency Office Staff admire.